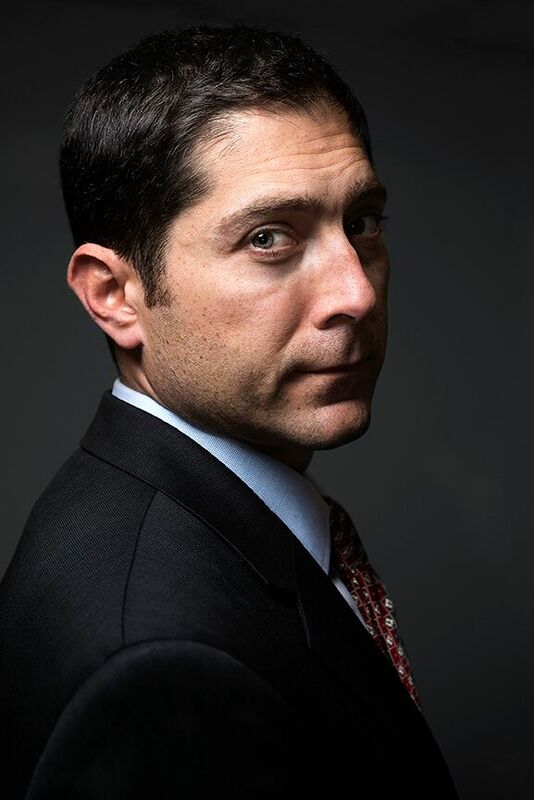 Bestselling author Todd Moss is a former senior State Department official who led America’s response to coups and crises in West Africa. 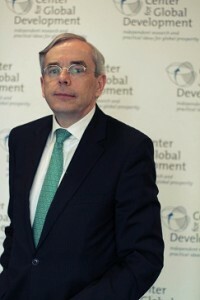 He is also my colleague at the Center for Global Development, where he is a Senior Fellow and Chief Operating Officer. 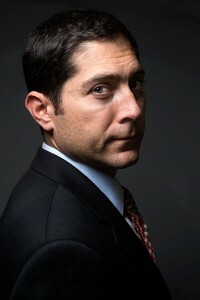 Todd’s first two books feature a fictional hero, Judd Ryker, an analyst in State Department. In The Golden Hour, Ryker is called upon to reverse a coup in Mali (the book was published a few weeks before a real coup in Mali). In the latest book, Minute Zero, Ryker has to handle a political crisis in Zimbabwe. In this episode of Development Drums, Todd talks about his real life experiences in the US State Department, and explains why he uses fiction to explore US foreign policy towards Africa. Morten Jerven explains why we know less than we should about what is happening in African economies, and why this is leading economists to the wrong recommendations. His first book, Poor Numbers: How We are Misled by African Development Statistics and What to Do About It explained the problems with Africa’s economic data; an his new book, Africa: Why Economists Get it Wrong sets out how this lack of nuanced understanding of the data has led to flawed analysis and recommendations. “The bottom line”, he says, “is that there is no bottom billion”. 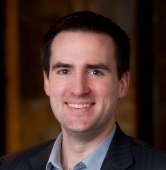 Morten Jerven is an Associate Professor at Simon Fraser University. 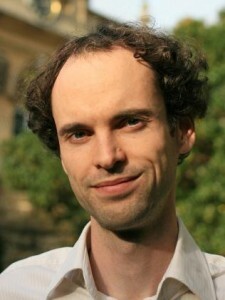 He is an economic historian with a PhD from the London School of Economics. Get the full transcript of Development Drums 46. Everyone seems to be talking about the data revolution these days. In this episode of Development Drums, I speak with two people who have thought more about what it is, how to make it happen, and what it means for development than just about anyone else. 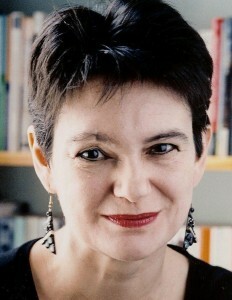 Claire Melamed is the Director of the Growth, Poverty and Inequality Programme at ODI. 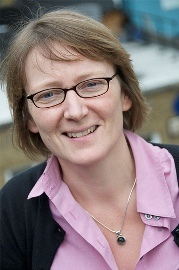 She was previously the Head of Policy at ActionAid UK. Her work focuses on measurement of poverty and inequality and on how to use the insights from measurement to improve policy and outcomes. 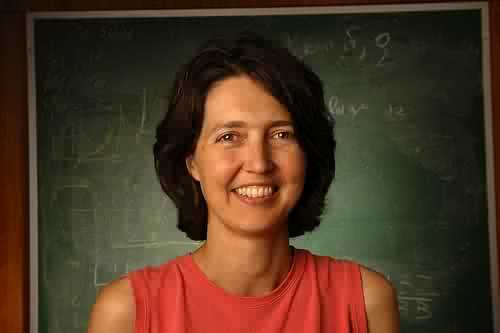 She heads ODI’s work on the post-2015 agenda, including the data revolution. 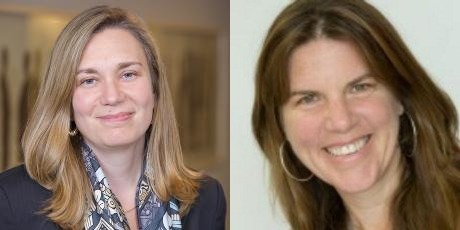 My colleague Amanda Glassman is the director of global health policy and a senior fellow at the Center for Global Development, leading work on priority-setting, resource allocation and value for money in global health, with a particular interest in vaccination. She is the author, together with Research Fellow Justin Sandefur, of the report Delivering on the Data Revolution in Sub-Saharan Africa. 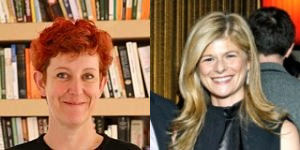 Amanda and Claire talk about where the idea of a data revolution came from and how we can make sure it’s more than just “business as usual (with more money)”. We talk about the weaknesses in the current data collection systems and institutions, including perverse incentives for providers like national statistics offices, duplication of effort, and counter-productive competition between donors. We dig into how policymakers can invest in the capacity that developing countries need and wrap up with a discussion of how better information might deliver better development outcomes. In this episode of Development Drums, I speak with Ben Ramalingam and Stefan Dercon about whether complexity and systems thinking offers actionable insights for better development interventions. Ben Ramalingam is an independent researcher who has worked with development and humanitarian organisations including UN bodies, NGOs, the Red Cross movement, and government agencies. 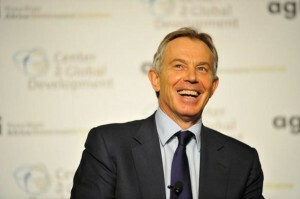 He is affiliated with the London School of Economics and the Overseas Development Institute, amongst other institutions and is the author of Aid on the Edge of Chaos: Rethinking International Cooperation in a Complex World. Stefan Dercon is a Professor of Development Economics at the University of Oxford and the Chief Economist at the Department for International Development, the UK government’s aid agency. . In the podcast, I ask Ben to pin down what we’re talking about when we talk about complexity and complex systems, and ask Stefan whether any of this is actually new to development economics research or policy, which has long incorporated elements of complexity thinking. We debate whether systems thinking gives donors and governments new and useful tools, including for humanitarian intervention. Nina Munk’s latest book, The Idealist, is about Jeffrey Sachs and the Millennium Villages Project. It is also a book about the efforts that people in industrialised countries make to help poor people. It is a book about vision, passion and hubris. In this episode of Development Drums, Nina Munk tells the story of how she came to write the book, and what she learned about Jeff Sachs, and about development aid, as she did so. Angus Deaton, the Dwight D. Eisenhower Professor of Economics and International Affairs at the Woodrow Wilson School of Public and International Affairs and the Economics Department at Princeton University, talks about his book, The Great Escape, which brings together his research into health, well-being, and economic development. In his book, Professor Deaton talks about the great progress that is being made in health and well-being, but also the problem of inequality within and between nations. The book finishes with a robust critique of the aid business, leading Professor Deaton to recommend that industrialised countries should spend money for, but not in, developing countries. In the podcast, I discuss with Professor Deaton the difference between happiness and well-being, the drivers of improved health around the world, and the implications of inequality of material well-being. We also debate his views about the impact of aid. 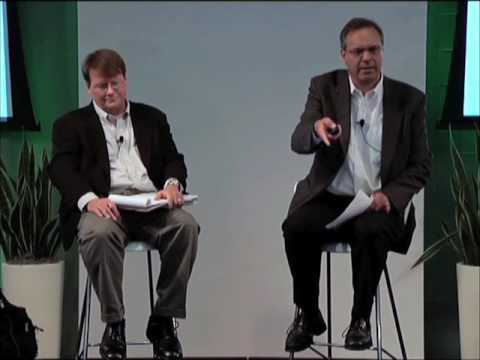 Here is a short video clip of part of the discussion. The full discussion – published in audio only – can be heard here on the website, or you can subscribe for free on iTunes. If you enjoy Development Drums, you may also enjoy CGD’s other podcast, the Global Prosperity Wonkcast. Here is a longer list of development podcasts. 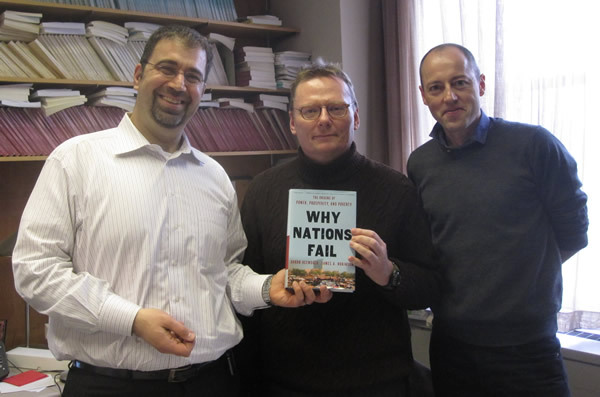 Daron Acemoğlu and James Robinson talk about their best-selling book, Why Nations Fail. In Why Nations Fail, Acemoğlu & Robinson argue that institutions matter for development and prosperity. Economic institutions can be broadly inclusive, leading to sustained economic prosperity, or extractive, enriching elites but doing little for the majority of the population. So far, that is not very new or exciting. A lot of development thinking has focused on institutions for at least 20 years, following the disappointing results of the Washington Consensus. In this book Acemoğlu & Robinson make the key point that these institutions which block development come about and persist because they benefit powerful elites. Too often we act as if institutions block development because the leaders of those countries don’t know how to make them better: Acemoğlu & Robinson say that they generally persist because the leaders of those countries don’t want to make them better. As Acemoğlu says in the podcast, “Getting institutions right is not an engineering problem, it is a political problem”. The podcast is in three broad parts. After the introduction, Acemoğlu & Robinson talk about their view that it is institutions which explain why some nations fail and others succeed, and why this explanation is better than alternative explanations such as geography or culture. Second, they talk abut the idea that institutions which block development tend to persist because of politics. And at the end, they talk about how change happens, and what (if anything) outsiders can do to accelerate and shape it. Read the transcript of Development Drums 40. This is the third in a series of three episodes of Development Drums looking at politics and power in development. 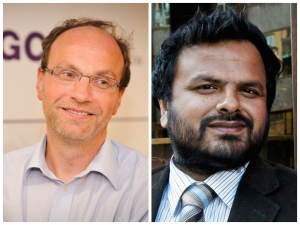 In Episode 36, Rakesh Rajani and Martin Tisné discuss accountability and openness. 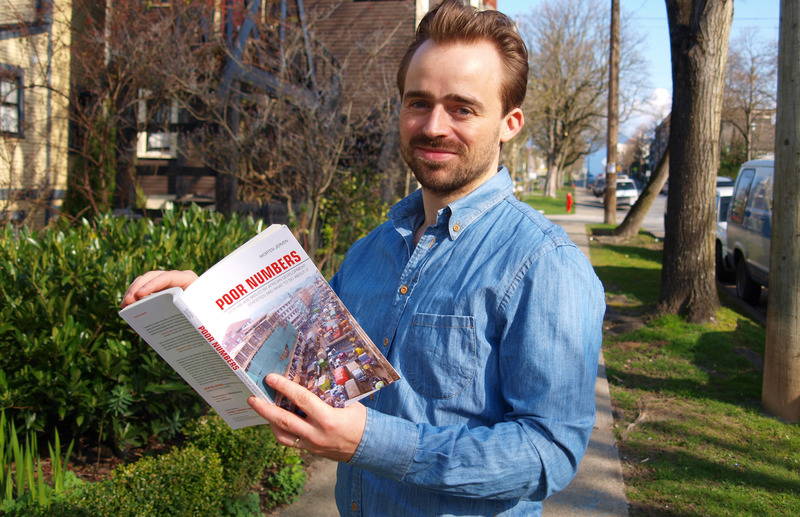 In Episode 37 Duncan Green talks about his book From Poverty to Power. This is the unabridged version of an interview with Bob Geldof; the shorter edited version is available separately as Development Drums number 38. Bob Geldof is a singer, songwriter, author, actor and part-time political activist. As lead singer of the Boomtown Rats, Geldof had chart success with Rat Trap and I Don’t Like Mondays. In 1984, Bob Geldof and Midge Ure brought together a group of musicians under the name Band Aid to record a single they wrote together, Do They Know Its Christmas?, which became one of the best-selling singles of all time. They went on to organise the Live Aid charity concert in 1985, and the Live 8 concert in 2005. 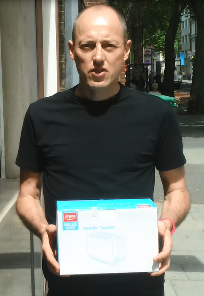 I met Bob Geldof in London to talk about his work fighting poverty in Africa. He talks in this podcast about 8 Miles, a new private equity company which he helped to establish to channel investment into Africa. We also talk about Band Aid, Live Aid, Live 8 and the Gleneagles Summit. He is characteristically robust about suggestions that Band Aid may have helped portray Africa in an negative light, and about allegations that money intended for famine relief was diverted to opposing sides in Ethiopia’s civil war. 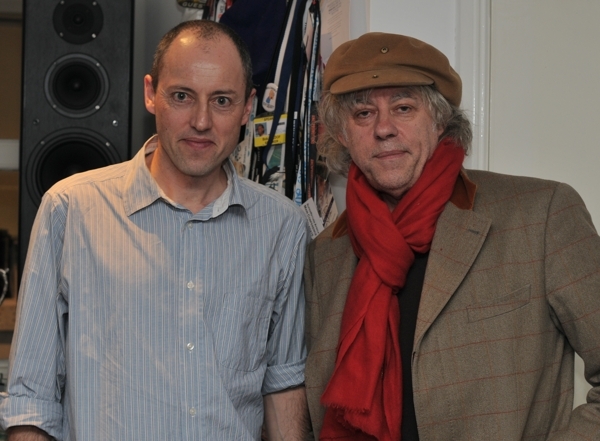 This podcast presents the edited version (about half an hour) of a longer interview with Bob Geldof; if you prefer you can listen to the full interview (1 hr 15 minutes) in episode 39 of Development Drums instead. Duncan Green, Senior Strategic Adviser at Oxfam, talks about his book From Poverty to Power. From Poverty to Power argues that it requires a radical redistribution of power, opportunities, and assets to break the cycle of poverty and inequality and to give poor people power over their own destinies. According to Duncan Green, the forces driving this transformation are active citizens and effective states. Active citizens are important because people living in poverty must have a voice in deciding their own destiny, fighting for rights and justice in their own society, and holding states and the private sector to account. Effective states are important because history shows that no country has prospered without a state structure than can actively manage the development process. In this podcast Duncan Green talks about what he means by an effective state and by active citizens; whether there is a tension between them, and the scope and limitations for outsiders to try to accelerate and shape the change process. In this episode, Rakesh Rajani and Martin Tisné discuss accountability and openness. 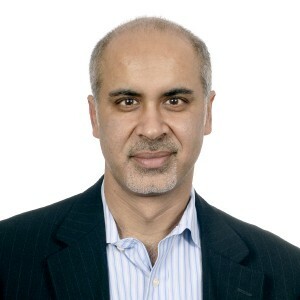 Rakesh Rajani is a Tanzanian civil society leader who currently leads Twaweza (meaning ‘we can make it happen’ in Swahili), a 10-year initiative to enhance access to information, citizen agency, and public accountability in East Africa. Until the end of 2007 he served as the founding Executive Director of HakiElimu, an independent organization that promotes citizen engagement in education in Tanzania. 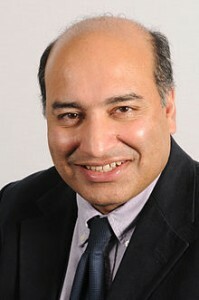 He advises/serves on several boards, including Revenue Watch International, Aidspan (a watchdog of the Global Fund), the International Budget Partnership (IBP), ONE, the Foundation for Civil Society in Tanzania (FCS), and theHewlett/Gates Foundations initiative on Quality Education in Developing Countries (QEDC). 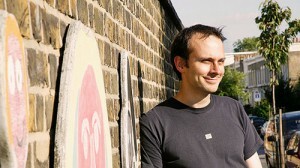 Martin Tisné is As director of policy at Omidyar Network. Before that, he director of the Transparency and Accountability Initiative where he helped found the Open Government Partnership. 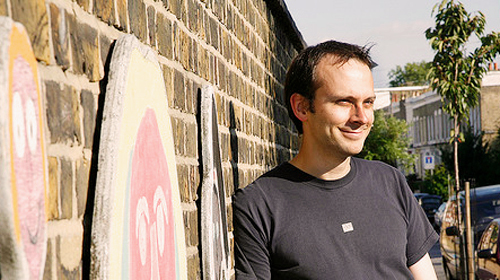 Previously, Martin founded the aid transparency campaign Publish What You Fund, helped launch Integrity Watch Afghanistan, and was a founding staff member at Tiri. This is the first of three episodes of Development Drums which look at the relationship between effective and accountable states, active citizenship and development. In this episode, Owen talks to fellow CGD Senior Fellow Michael Clemens about the relationship between migration and development. In the first section Michael talks about the impact of migration on migrants themselves, and how micro-data has been used to expose a significant inequality of opportunity based on location, explaining more about a person’s income than everything else put together. Michael discusses the role of movement of people in within the development process, highlighting the limitations of using place as the main indicator of poverty reduction, given the wider global system and international labour market in which migrants participate. In the second part Michael responds to various criticisms of migration from a receiving country perspective, focusing on the costs and benefits of the economic, communal and cultural effects of migration, and the need for a managed transition to minimise costs and maximise benefits. In the third part Michael talks about the impact of migration from the perspective of the migrants’ countries of origin. Michael emphasises that while the reasons behind migration may be harmful, migration itself is not, and argues that fostering educational flexibility works better to maximise benefits from migration, than preventing educated migrants from leaving their countries. The final part of the episode Michael explains incorporating migration into development policy can be politically viable, citing his part in a change to US migration policy to allow Haitians to move to America, and offers his thoughts on why policy must and will adapt to foster inevitable global movement rather than inhibit it. In this episode, Owen talks with author and economist Diane Coyle about her latest book ‘The Economics Of Enough, How To Run The Economy As If The Future Matters’. In the first section, Diane shares her thoughts on economic growth as a satisfactory goal for economic and social policy, and discusses the measure of Gross Domestic Product in relation to indicators of happiness and welfare. In addressing the challenges of economic growth, Diane highlights the need for a measure of wealth that transcends money and natural infrastructure to factor in human capital, environmental capital and natural resources. Diane argues for going ‘back to basics’ on GDP, and introducing systematic asset measurement to monitor and control long-term change and assess how much is taken from future generations. Diane explains the implications of, and offers solutions to, the ‘crisis of capitalism’: the financial crisis; the underlying problem of public debt and the structure of the welfare system; inequality and the loss of trust and social capital; and the lack of customer-focused financial innovation. Diane explains these challenges in relation to the related ‘crisis of governance’ that enables them to persist. In the last section Diane discusses her ‘manifesto for enough’ in relation to how it addresses the challenges discussed earlier, along with how much it leaves unresolved. Running time 1 hour and 7 minutes; size 44.5 Mb. This is a special edition of Development Drums. Instead of interviewing a guest, as normal, we bring you a presentation on Complexity and Development by Owen Barder. This is the audio-only version of an online presentation with slides, which is available from the Center for Global Development. You can also download the slides and full transcript. 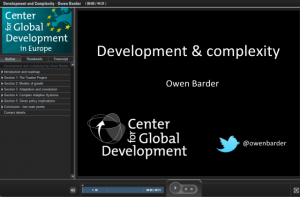 In this presentation, adapted from his Kapuściński Lecture of May 2012, Owen Barder explores the implications of complexity theory for development policy. He explains how traditional economic models have tried and failed to understand why some countries have managed to improve living standards while other countries have not. Drawing on ideas about complex adaptive systems developed in in physics and biology, he argues that development is a property of a system, not the sum of what happen s to the people within it. This view of development has important policy implications for policy-makers who want to bring about faster development in their own country, or to help other countries to make faster progress. The presentation finishes with seven implications for development policy. This Development Drums podcast is just the audio, for those who want to listen to the presentation in the gym or during their commute. If you would rather see the full presentation including slides, you can do so on the CGD website. Gender permeates all development issues, and there is growing debate surrounding how best to implement and promote gender balance and equality throughout the development agenda. This episode broadly focuses on two different views of why we might be interested in women in development: the first based on instrumental reasons (what can women and girls do for development) and the second on more structural and contextual reasons (what development can do for women and girls). Our guests are Andrea Cornwall of the Institute of Development Studies and Prue Clarke of New Narratives. enough priority to interventions which help bring about changes in power dynamics. Prue draws on her experience in working with women journalists in Africa to give examples of how the right small-scale instrumental interventions can change the political context and tackle causes of imbalance, focusing on stories that relate to women and children such as high teen pregnancy, unsafe abortion and female genital cutting. Center for Global Development Senior Fellow David Roodman talks about his latest book ‘Due Diligence, An Impertinent Inquiry into Microfinance’. David discusses the evidence surrounding the effects of microfinance on the lives of the world’s poor and its implications on aid donors, within the context of his book’s key findings. David then goes on to speak about what he himself has learned about the roles of different kinds of evidence, along with the unusual way in which he used open blogs to guide and inform the writing of his book. On Friday the Governors of the European Bank for Reconstruction and Development (EBRD) will decide who will be the Bank’s next President. Today we are publishing interviews with four of the candidates. 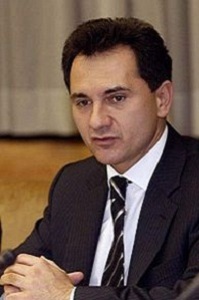 In September 2009, the leaders of the G-20 meeting in Pittsburgh called for the “the heads and senior leadership of all international institutions [to] be appointed through an open, transparent and merit-based process.” Despite this commitment, over last few months European Ministers have been horse-trading behind closed doors to try to get one of their nationals into a number of jobs which are up for grabs: as well as the Presidency of the EBRD, Ministers have to find a new Chair of the Eurogroup, someone to head the Eurozone’s permanent bail-out fund, and a new member of the board of the European Central Bank. But European Ministers have not been able to reach agreement, so for the first time ever the EBRD Governors have not been presented with a fait accompli. Five candidates will be in London this Thursday to be interviewed for the role, and the Governors are expected to make a decision by the end of the week. At the Center for Global Development we believe this appointment should not be based on nationality, in some gigantic trade-off between unrelated institutions, but on the basis of merit and substance. We hope to make our own modest contribution to this by offering a public forum for the candidates to discuss their vision for the future of the EBRD. Over the last couple of days I interviewed the four candidates who accepted our offer. We’ve put the interviews together in a Development Drums podcast. You can listen to this online, or download the podcast to your MP3 player, either from the Development Drums website or free in iTunes. We will also be publishing a transcript of the interviews. The four candidates who agreed to be interviewed are: Thomas Mirow (at 03:58), the incumbent who has completed one four year term as President and is seeking re-election for the second term; Jan Krzysztof Bielecki (at 17:40), former prime minister of Poland; Suma Chakrabarti (35:45), a senior British civil servant; and Bozidar Djelic (at 47:43), the former deputy Prime Minister of Serbia. 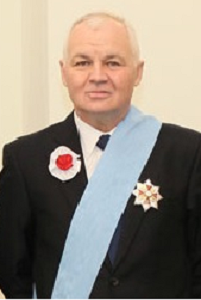 The fifth candidate, Philippe de Fontaine Vive Curtaz, is vice president of the European Investment Bank and did not choose to participate in this process. In the interviews, the candidates talk about the implications for the EBRD of the planned expansion to the Southern and Eastern Mediterranean. They respond to criticisms of the EBRD for not doing enough on gender. And they talk about how their own professional background equips them to be an effective leader of the institution. The interviews reveal some striking differences of view between the candidates. For example, the candidates offer quite different opinions about the extent of change that will be needed in the organisation to fulfil its new mandate in North Africa and the Eastern Mediterranean. Candidates also had quite different views about how they would respond to the criticism of the EBRD’s approach to women. Given the differences in substance between the candidates revealed by these interviews, nobody should be in any doubt that the choice of the next president of the EBRD will have important real world consequences. Running time 56 minutes; size: 33.2 Mb. Toby Ord is a moral philosopher at Balliol College, Oxford and the president of Giving What We Can, an international society dedicated to eliminating poverty in the developing world. In this interview, Toby firstly talks about consequentialism and the implications for development, with particular focus on cost-effectiveness. Secondly, Toby explains his personal decision to donate a substantial proportion of his income to the developing world, and shares with us the factors that guide his choice of recipients. Running time 1 hour and 8 minutes; size 25.8Mb. 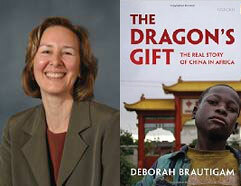 Professor Deborah Bräutigam discusses her book, The Dragon’s Gift: The Real Story of China in Africa about China Africa relations. Professor Bräutigam blogs at chinaafricarealstory.com. Running time 1 hour 1 minute; size: 29.6 Mb. The twenty-fifth edition of Development Drums discusses the big challenges of development in the 21st century. 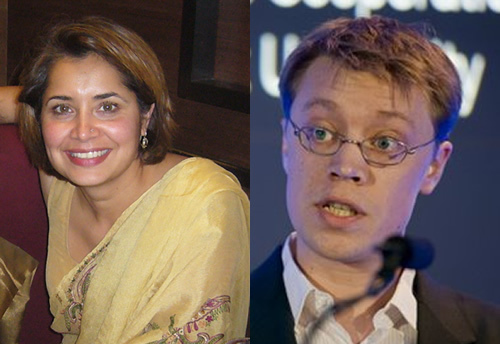 My guests are Malini Mehra from the Center for Social Markets and Alex Evans from the Center on International Cooperation at NYU. The agenda for the discussion was a presentation given by Alex Evans to Members of Parliament in the British House of Commons. In his presentation, Alex identified ten key issues for discussion: the changing distribution of poverty; demographic change; the financial crisis; oil prices; food prices; feeding the 9 billion; climate change; trade; the changing face of conflict; the global governance deficit; and the implications for UK development policy. If you enjoy Development Drums, you may also enjoy the Center for Global Development’s Global Prosperity Wonkcasts, which are a bit shorter than Development Drums. As with Development Drums, you can listen online, subscribe to the feed or subscribe free on iTunes. The Guardian has also started a monthly development podcast. The most recent editions are about “securitisation of aid” (that is, greater focus of aid on fragile states) and on so-called “land grabs“. Again, you can subscribe to the feed directly, or get it free on iTunes. Running time 1 hour 13 minutes; size 41 Mb. Andy Sumner (Institute for Development Studies) has published a new paper which argues that the global poverty problem has changed because most of the world’s poor no longer live in low-income countries (LICs). In 1990, about 93 per cent of the world’s poor people lived in LICs. 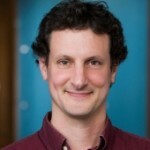 Andy’s paper shows that in 2007-8, three-quarters of the world’s approximately 1.3bn poor people lived in middle-income countries (MICs) and only about a quarter of the world’s poor – about 370mn people – live in the remaining 39 low-income countries, which are largely in sub-Saharan Africa. In this episode of Development Drums, Andy Sumner and Claire Melamed (Head of the Growth and Equity Programme at ODI) discuss the implications of this new data about where most of the world’s poor live. If there are millions of people living in poverty in middle income countries, does this mean that growth does not lead to poverty reduction? What are the implications for donor countries? Do they have any interest in the income distribution in other nations, or is that an entirely internal matter? Should aid be allocated differently as a results of these new figures? And what are the implications for non-aid development policies? Download Andy’s paper, “Global Poverty and the New Bottom Billion”. Running time 44 minutes; size 22.3 Mb. 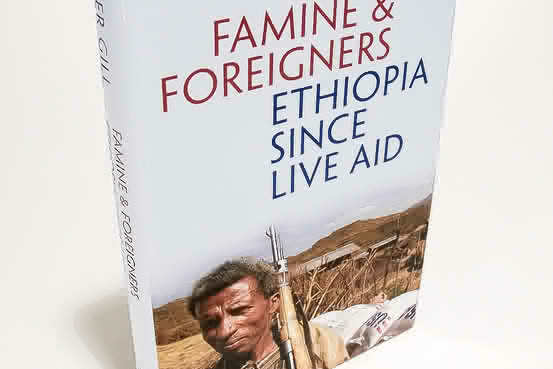 Peter Gill talks on Development Drums about his new book, Famine and Foreigners: Ethiopia Since Live Aid. The Ethiopian famine of 25 years ago was the greatest humanitarian disaster of the second half of the 20th century, killing more than 600,000 people before the world took notice. Peter Gill was the first journalist to reach the epicenter of the famine in 1984 and he returned at the time of Live Aid to research the definitive account of the disaster, A Year in the Death of Africa . Peter Gill has returned to Ethiopia to tell the story of the last 25 years in Ethiopia. His book draws on interviews with leading Ethiopians and with foreign aid officials. He interviewed Prime Minister Meles Zenawi and the leading development economists, Joseph E. Stiglitz and Jeffrey Sachs. Most important of all, Gill has traveled throughout the country and interviewed many of Ethiopia’s citizens. What stands out in these pages are the graphic encounters with these Ethiopians–the supposed beneficiaries of western aid–who still struggle on the knife-edge of existence. What also emerges is the often tense relationship between official aid-givers and recipients–whether in the area of economic reform or the modern demands for “governance” and political change. Roger Thurow and Scott Kilman talk about their book Enough: Why The World’s Poorest Starve In An Age of Plenty. In this edition of Development drums, Owen talks to Rachel Glennerster, Director of the Poverty Action Lab, about rigorous evaluation of development programmes. Rachel explains how rigorous evaluation techniques can give important insights into the effectiveness of development programmes. She explains the role (and limitations) of randomised controlled trials, and she addresses some of the criticisms of this kind of evaluation. Daniel Kaufmann and Mushtaq Khan debate the role and importance of tackling corruption as part of a development strategy. 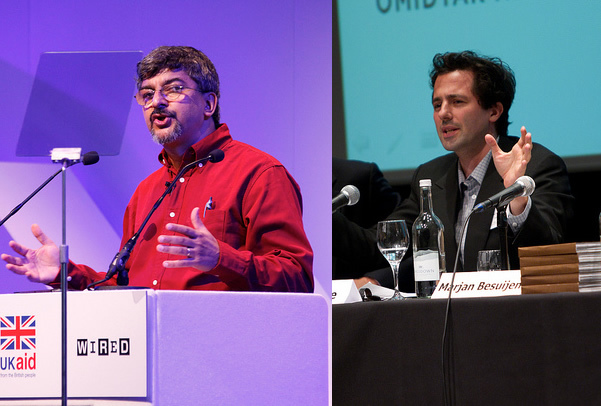 Guest presenter Alison Evans, Director of ODI, interviews Owen Barder about his new paper, Beyond Planning: Markets and Networks for Better Aid, and Roger Riddell, author of two key books on aid and a non-executive director of Oxford Policy Management. This podcast is in collaboration with the Overseas Development Institute. 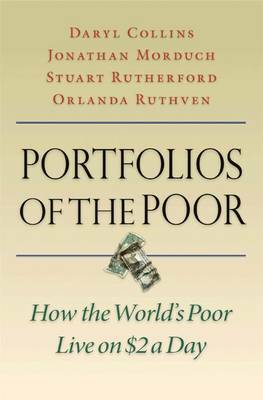 Daryl Colliins and Jonathan Morduch discuss their book, co-authored with Stuart Rutherford and Orland Ruthven, Portfolios of the Poor. Forty percent of the world’s population lives on less than $2 a day. You may be surprised by the extent to which they use financial services. Daryl and Jonathan describe their work and their findings. Running time 62 minutes; size 25.4 Mb.